UPDATE – Bonus track listing; BBC session: In The Deep End / What Shall I Do / Day Tripper / Steady Gettin ‘It Devil With The Blue Dress On-Good Golly Miss Molly. Live Denmark : I Need Your Loving / Be My Lady / Day Tripper / Tic Tac Toe / Shake / Black Mountain / Song Of The “J” Men / Satisfaction Acetate : Chicago Calling / Hoochie Coochie Man (thanks to Jon Gibbes). Long a project on my wish list, it’s nice to see that my old label RPM Records have taken this on and run with it. 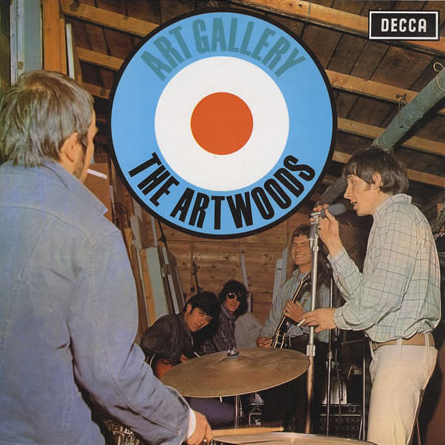 The Artwoods were a band who inexplicably never quite ‘made it’ despite a lengthy career and several singles. Their biggest problem was the lack of original material, and they relied mostly on good and astute covers of American tracks for most of their material while contemporaries were experimenting with their own songs. Of course the main interest for many here is the fact that this was Jon Lord’s first professional full time group. He’s been with a combo in 1963, and when they teamed up with singer Art Wood, they changed their name to The Art Wood Combo, and eventually The Artwoods. They turned pro in 1964. Jon’s contributions are at the forefront of the band’s sound, which was rooted firmly in the British r’n’b and blues boom of the early sixties (with some later cross over into the Mod scene). 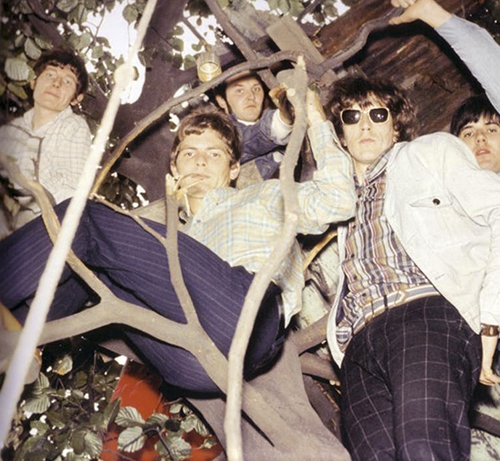 Although various labels have had a good go at the band’s catalogue (notably Repertoire), all are deleted and nobody has ever produced a set which rounded up all their surviving recordings until now. So we get the band’s seven singles, the first released in October 1964, including their only minor hit, the excellent I Take What I Want, which made the Melody Maker chart. Most of these were on Decca but the last couple were on Parlophone (In The Deep End is actually not that far removed from Mk 1 Deep Purple in direction and sound) and Fontana (where they went under a pseudonym St. Valentines Day Massacre, cashing in on the Bonnie and Clyde craze). 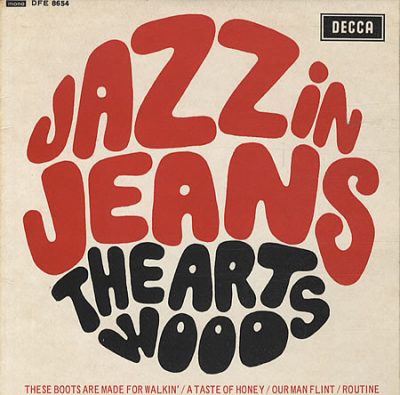 There is also the four track EP Jazz In Jeans, a real rarity (the original fetches hundreds). Unusually for a band who never had a hit, the band also cut an impossibly rare album Art Gallery in 1966, which is included in full. The label has also rounded up some unissued rarities, 15 in total. 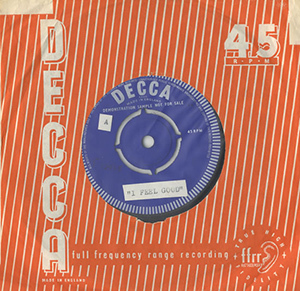 These include one of the band’s radio sessions (most are sadly lost), an early pre-contract acetate from 1963, and some tracks from a show recorded in 1967 in Denmark. These have circulated amongst collectors to some degree (and on bootleg, called Live at Funny Park) but I’m told that they have had access to better sources for these rarities. It was this Danish tour which gave Jon the contacts he used when Deep Purple ventured across early in their career. Guitarist Derek Griffiths has been involved in the set, as has their Decca producer Mike Vernon, and the double CD comes with a 16 page booklet. We will of course review the CD in more detail nearer the time. The DTB online shop is taking preorders, and the CD is due out in February 2014. Check the family tree out at deep-purple.net Thanks to RPM and Mark Stratford. This looks great, How about the other version of hoochie coochie man that was on rare mod 4? This Artwoods CD seems to be very elusive. Has anyone seen it for sale on the racks or online yet? I spoke to the label last week, and it is behind schedule, more news when we get any. I’ve asked them to rethink again and include all of the band’s BBC recordings which are available on transcription discs (and in immaculate quality!). I’ll chase them up and see Mike. Very interesting ! I look forward to it. Is there some we site where we can find details on songs lists, etc… ? I’ll print a list as soon as this is finalised. Thanks for this Jon, I’ve added an update. Your list tallied exactly with the press release, which does rather suggest they haven’t looked that far for the extras! I’m sure Art had a number of acetates as he offered them to us some years ago for release. The downside was we could only have them if we issued his new album as well. Although I have all official CD releases of The Artwords, I really looking forward to this item. One of my favourite Pre-Purple bands. great stuff and a lot of Jon Lord. I hope for some moments I have not heard yet.